Rare piece of Late Victorian Advertising. White ironstone advertising dish (change tray). 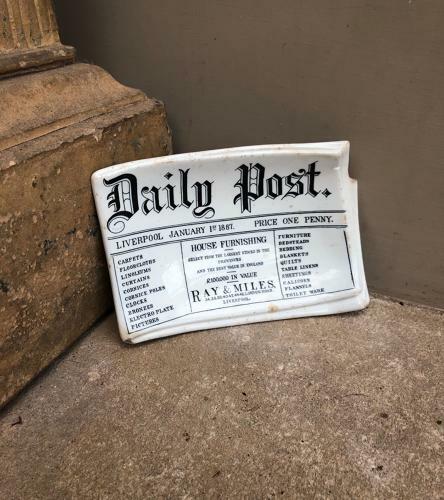 Shaped as the DAILY POST NEWSPAPER Liverpool and advertising RAY & MILES HOUSE FURNISHERS and all the products they sell.